This is not the first St. Jude recall. The Optisure Dual Coil Defibrillation Leads are implanted wires that connect a defibrillator to a patient’s heart. The defibrillator system senses the patient’s heart rhythm and delivers electrical pulses or shocks when it detects a faster than normal heart rate (tachycardia) or completely disorganized electrical activity (fibrillation). St. Jude is recalling the Optisure leads due to a manufacturing error that may have caused damage to the insulation layer of one of the shock coils. 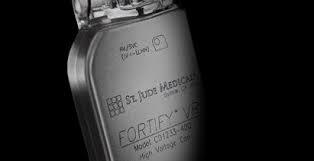 Depending on device programming and the depth of the cut, this could result in the inability of the defibrillator to deliver electrical therapy to the patient. The use of affected products may cause serious adverse health consequences, including patient injury or death. If you or someone you know has been the victim of an injury due to this device, you need knowledgeable and experienced attorneys on your side. Eddy DeLuca Gravina & Townsend have successfully represented thousands of accident victims to get them the money they deserve as a result of products liability, accidents or the negligence of others.